Richard Bass – has worked as a freelance Normandy Battlefield guide for many years, including 8 year’s when he worked with Leger Holidays on their European battlefield tours. He also conducts tours around the Assualt Training Center at Woolacombe Sands, the training area for American troops who were preparing for the D-Day Normandy landings. He is the author of several books on the American’s D-Day and their Normandy battles and Richard has also appeared in several TV documentaries; most recently about Exercise ‘Tiger’ and the catastrophic loss of life during a D-Day rehearsal. Richard also gives talks on the American wartime presence in the UK ranging from school talks and film shows to lecturing the lecturers at Sandhurst. This year he’s busy organising a two day event at Woolacombe to celebrate the 70th anniversary of the opening of the US Army Assault Training Centre where all American troops destined for Normandy were trained in new tactics of amphibious assault. 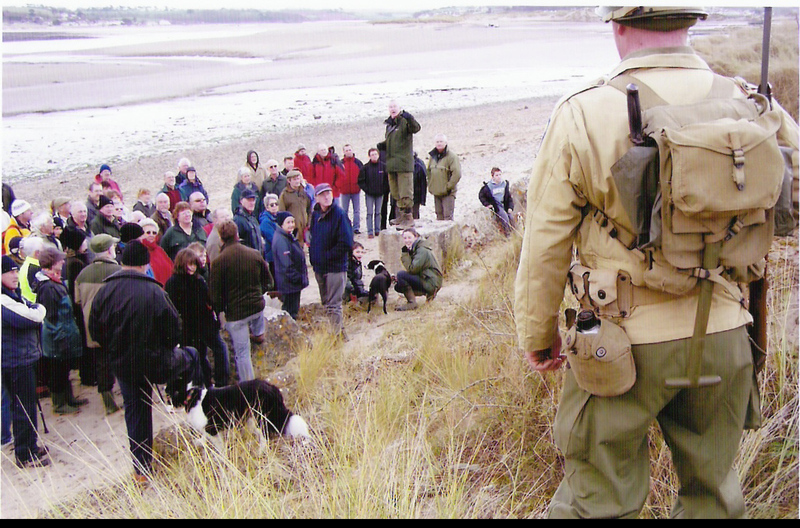 Living history groups will hold an exhibition supported by many wartime vehicles. Further information about richards work, and contact details, can be found at: http://www.assaulttrainingcenter.com and http://www.exercise-tiger.com and http://www.rtbassbooks.com.